Whether you simply can't stand it or consider it a separate food group (or not food at all), there's no denying that Spam is everywhere. America's favorite canned mystery meat got its humble beginning in Minnesota, but is now used in dishes and found in homes around the globe. According to Hormel, 12.8 cans of Spam are eaten every second. So read on to discover how this sometimes-controversial lunchmeat has become a mealtime staple in the homes and hearts of Americans and people the world over. It all started in the town of Austin, Minnesota, where George A. Hormel decided to open a slaughterhouse and meatpacking facility in 1891. Little did he know that Hormel would become a trusted household name for millions of families around the country that craved this weirdly addictive lunchmeat. 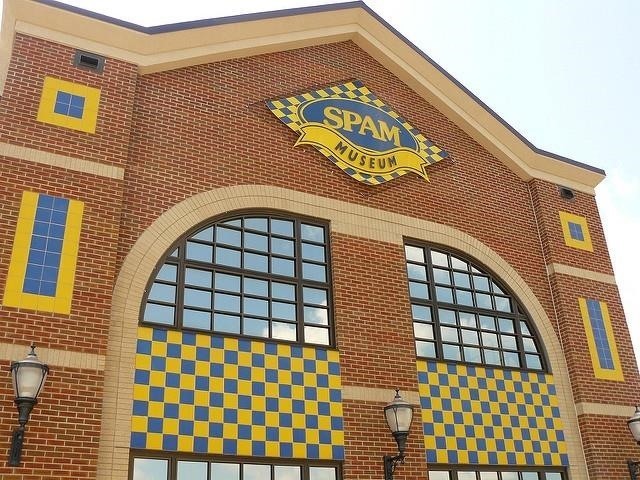 Originally a deli staple, Spam was created after many years of trial and error because Jay Hormel, who took over the family business from his father, wanted a canned meat that was convenient for home use. Hormel launched the "Meat of Many Uses" in 1937, and soon the canned meat product spread worldwide, literally, in the rations of soldiers during World War II. While it's no mystery as to why Austin, MN is called "Spamtown," the origins of the name of the canned lunchmeat are not as clear. According to the Spam website, only a small circle of former Hormel Foods executives know the name's real meaning. Many spam historians claim it is a combination of the words "spice" and "ham;" others speculate that it's really an acronym for "Shoulder of Pork And Ham." Either way, the easy-to-recall name has come to represent a more than 8 billion-can empire that's available in 44 countries around the world. A true global obsession indeed. It took many tries for Hormel to perfect Spam as it is today. The issue with canned meat is that once it comes into contact with heat, the meat's cells break down and start to seep liquid, which can dry the meat out. Not wanting to make jerky, Hormel finally found that a certain amount of heat and salt would preserve the meat yet retain moisture. Another key element to the process was vacuum-packing the loaves of lunchmeat. During World War II, Spam was one of the main rations for soldiers overseas—more than 150 million pounds of Spam were purchased by the military. The durable, easily transported source of protein would not spoil during shipping or while it sat on shelves with other rations. Turns out, though, that American GIs were not too thrilled about the whole meat-in-a-can thing. Hormel received piles of hate mail from unsatisfied soldiers who freely documented their disgust with the product. After World War II, Spam gained popularity in American homes due to its convenience and affordability. It quickly became a best friend of the 1950's housewife, appearing at breakfast alongside many an egg and at lunch as the star ingredient in sandwiches. 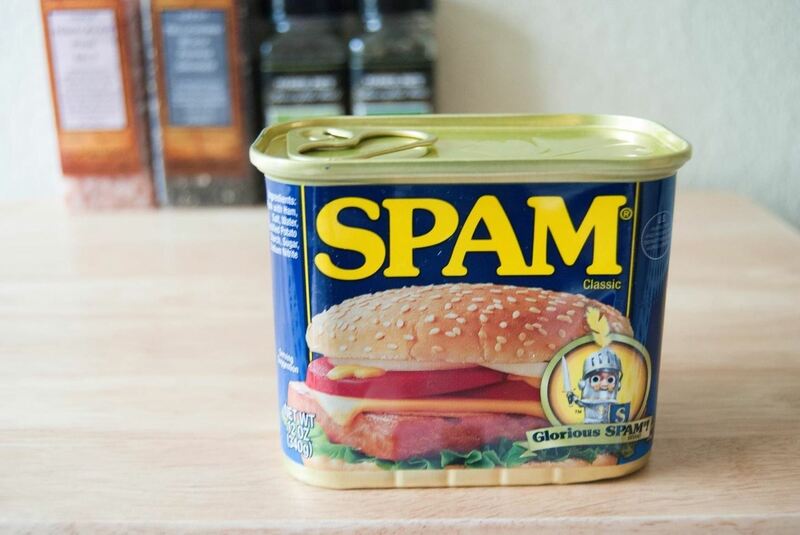 I have to admit that I was not always a member of "Team Spam" and only crossed over after trying musubi on a trip to Hawaii. 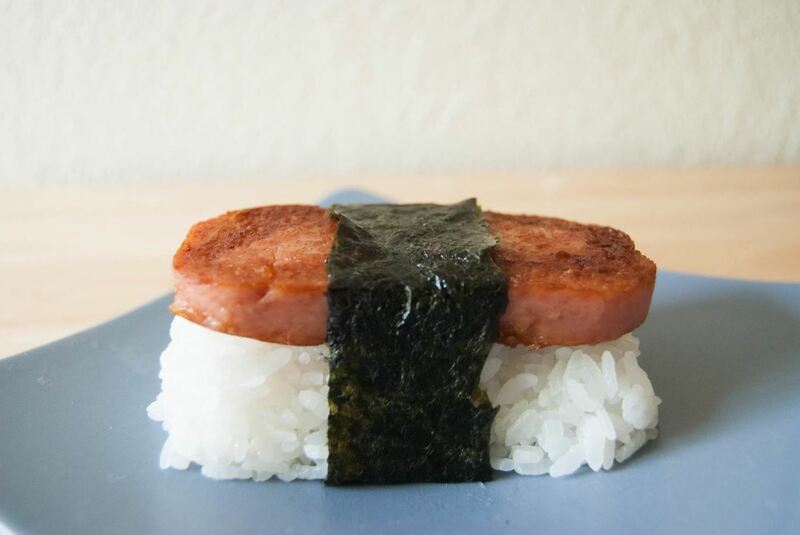 The dish is made with fried spam and rice in a sushi-style presentation. Since World War II, Spam has been taken to a whole new level out on the Islands, where supermarkets have half an aisle dedicated solely to the many flavors of this cherished protein. From jalapeño Spam to teriyaki Spam, in Hawaii there is guaranteed to be a flavor to satisfy any meat eater out there. If you are still on the fence about Spam, try making your own musubi, using Serious Eats' recipe. You will quickly become a Spam convert! When Spam became readily available in parts of Asia during and after World War II, many countries there incorporated the lunch meat into their own dishes. The result was an explosion of insanely popular new fusion dishes, particularly in Japan and Korea. 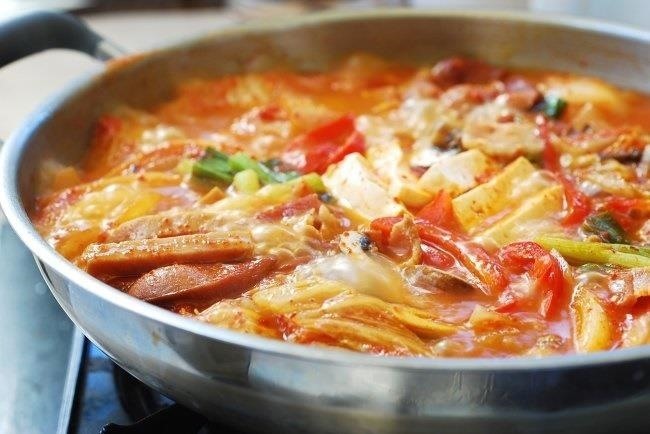 For an international take on Spam, try your hand at budae jjigae (army stew) by blogger Hyosun Ro. This dish was originally created by cleverly repurposing the surplus meat from the US military bases in Korea, and it quickly became a cult favorite. 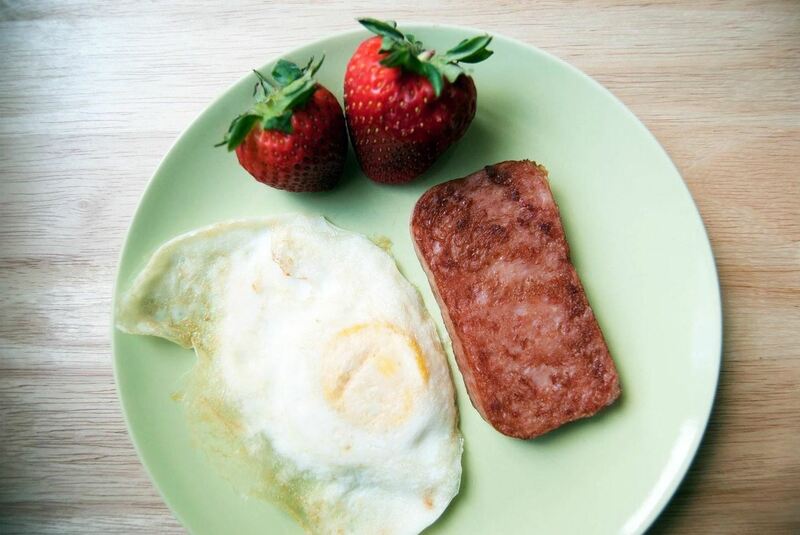 Spam may be an acquired taste, but once you're a diehard fan, there are endless recipes using this beloved lunchmeat. Next time you have a hankering for Spam, try preparing it with a Korean twist or roll it into sushi, and impress your friends and family with the storied history of this popular canned meat!